Which continents enjoy this magnificent butterfly? Answer: All continents except Antarctica. How can we understand their ability to colonize and breed in so many diverse places? Answer: They enjoy many, many different hosting plants. Where do they winter-over in the Northeastern U.S.? In tree hollows? Under the forest leaf covered floor? Under rocks and fallen timber? Answer: They don’t winter-over in the Northeastern U.S..
Why don’t they winter-over from Georgia to Maine? Answer: They cannot tolerate freezing temperatures. So where do Vanessa cardui found in New Hampshire, Pennsylvania, Virginia and North Carolina originate from? OK. Then which U.S. airlines bring them up from there? Answer: None. They fly up from south of the border (Mexican) on their own gossamer wings. in the instant example, the Outdoor Gardens of the Phipps Conservatory offers a gourmet nectar menu for this Painted Lady. When can we hope to see them in Pittsburgh in 2013? Answer: Late April to May. Another joy of springtime. Awesome info on this personally favorite butterfly! The ‘lady’ is painted magnificently isn’t she!!! I have a photostream on Flickr under name Rosa Blue. “Winged in Color” is a set if you ever have time to take a look. 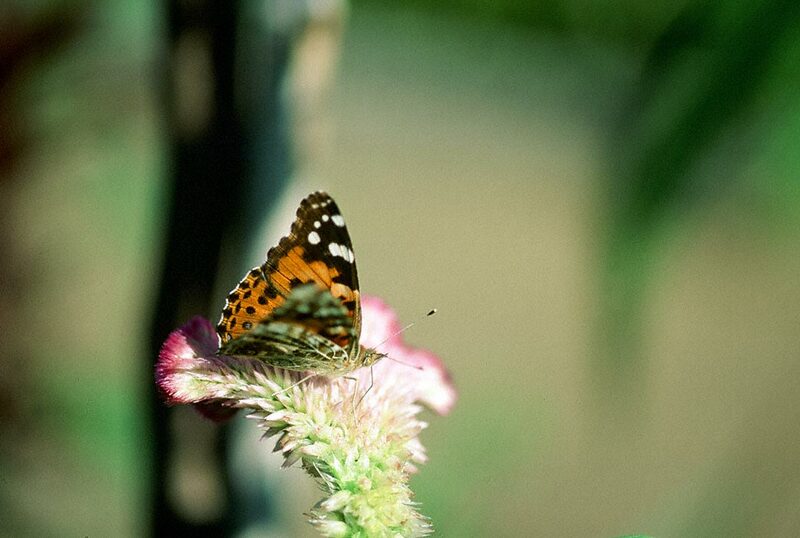 Painted Lady and American Lady Butterflies are among my favorites. I have taken many pictures of both of them. Thanks for sharing this one, Jeff. I like how you did this post!! We started having these show up at our home here in Central Oregon in 2012.